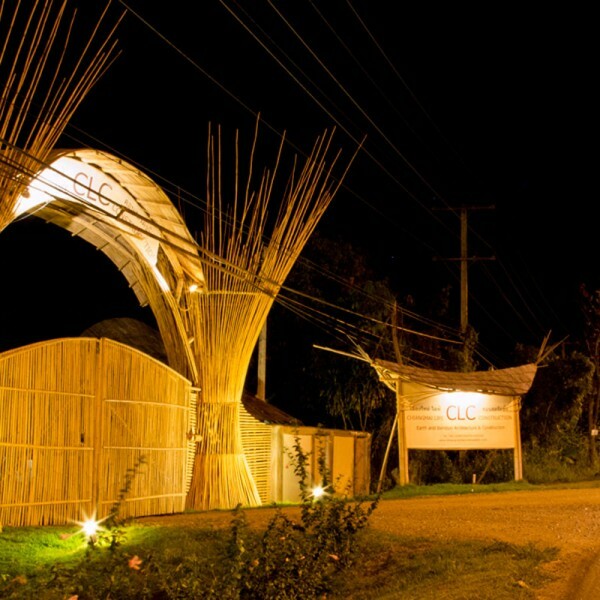 The architectural brief of the bamboo entrance gate was that it had to be a landmark structure that was attractive and easily remembered, it should give a sense of arrival at a special destination and of course that it could be closed to provide protection for the company’s employees and assets. 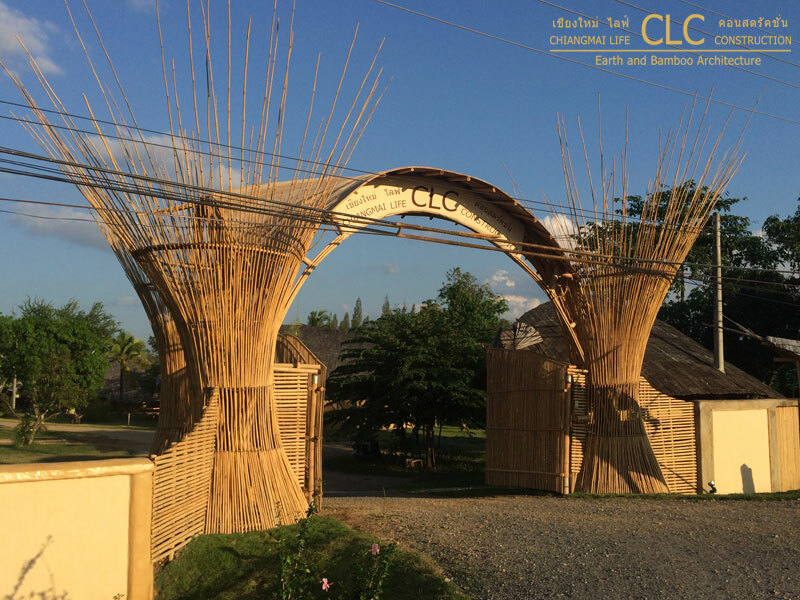 The design of the bamboo gate represents a small cluster of trees standing next to each other and touching each other at their crowns. 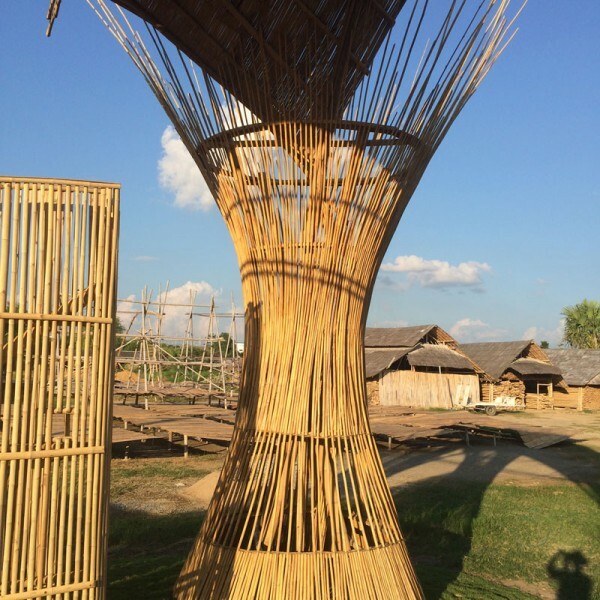 In terms of bamboo architecture, the three supporting pillars of the gate, the big trees reaching for the skies were then connected with arches as the main roof and combining element. 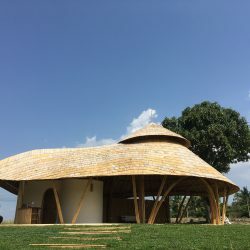 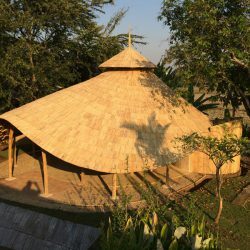 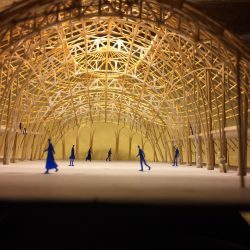 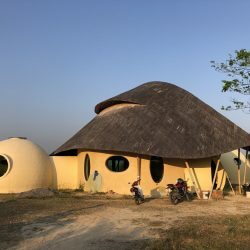 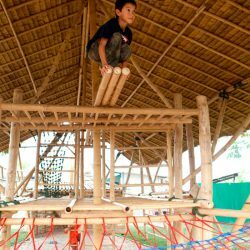 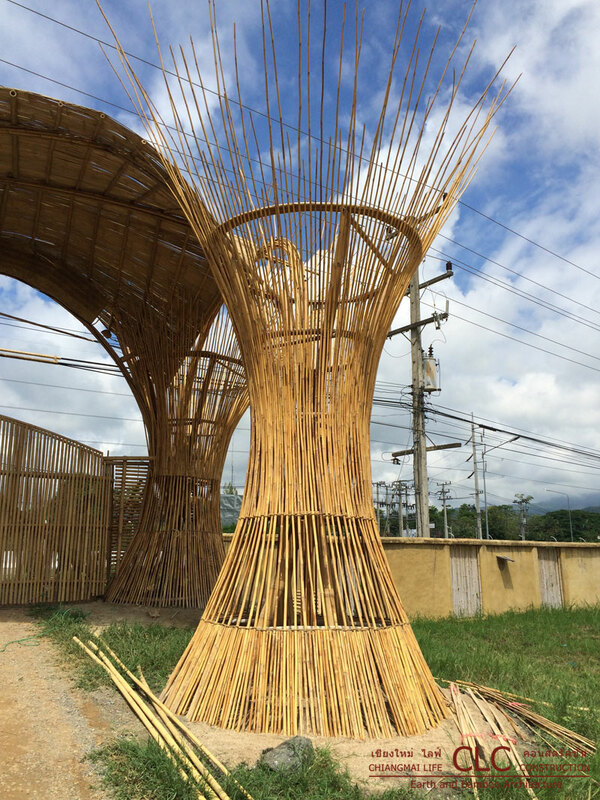 To create an uplifting feeling, the big structures were built using a smaller species of bamboo to juxtapose the big design with small construction elements. 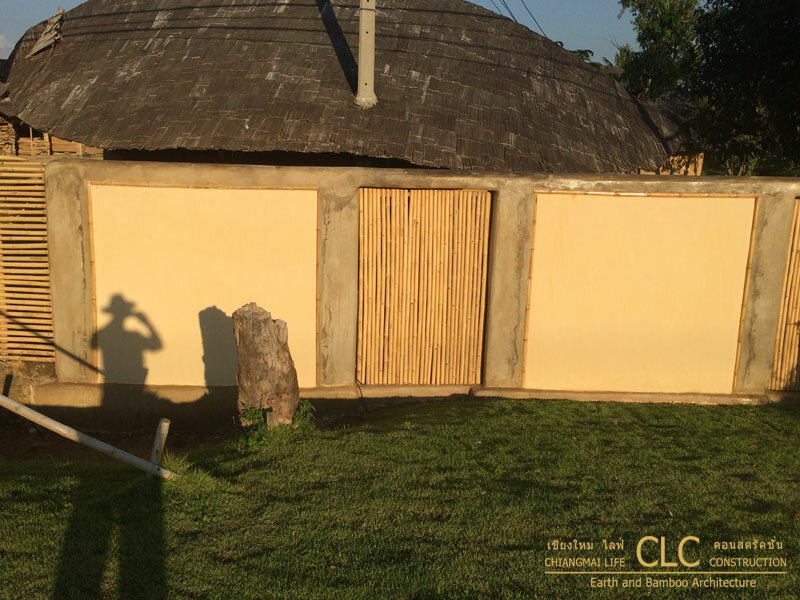 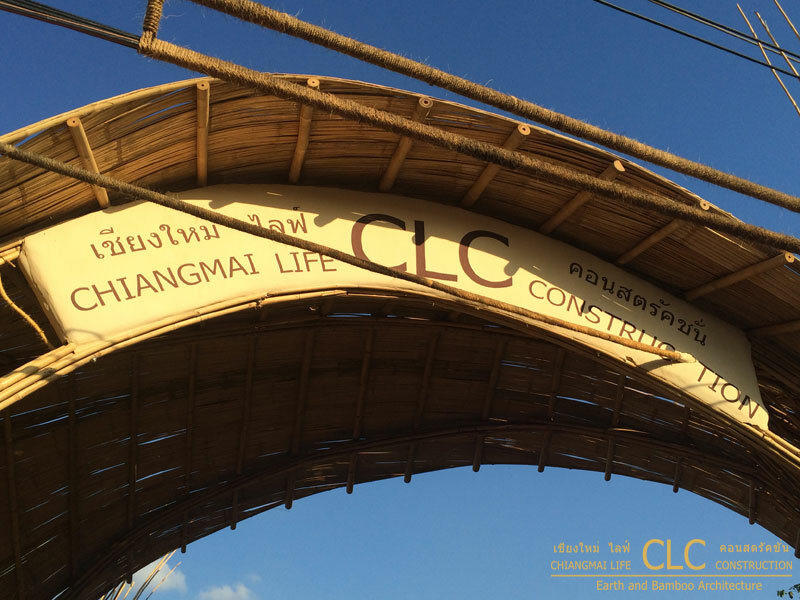 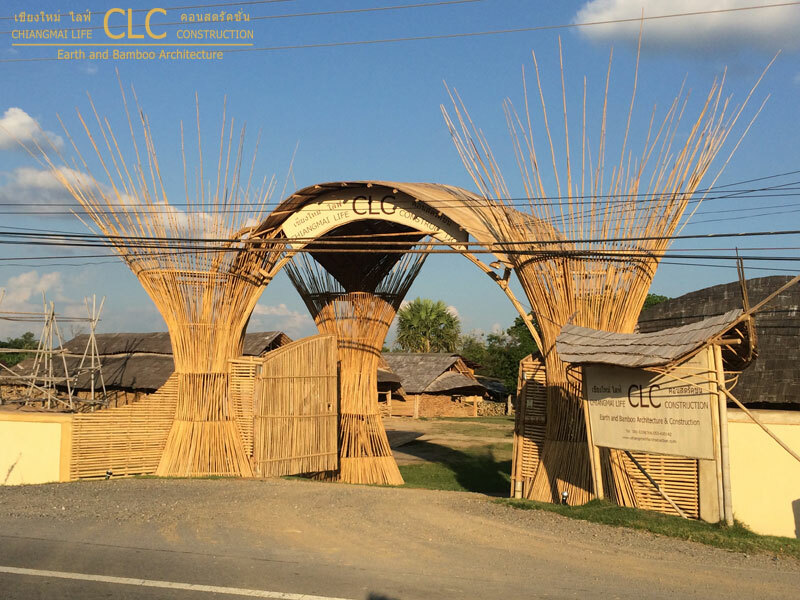 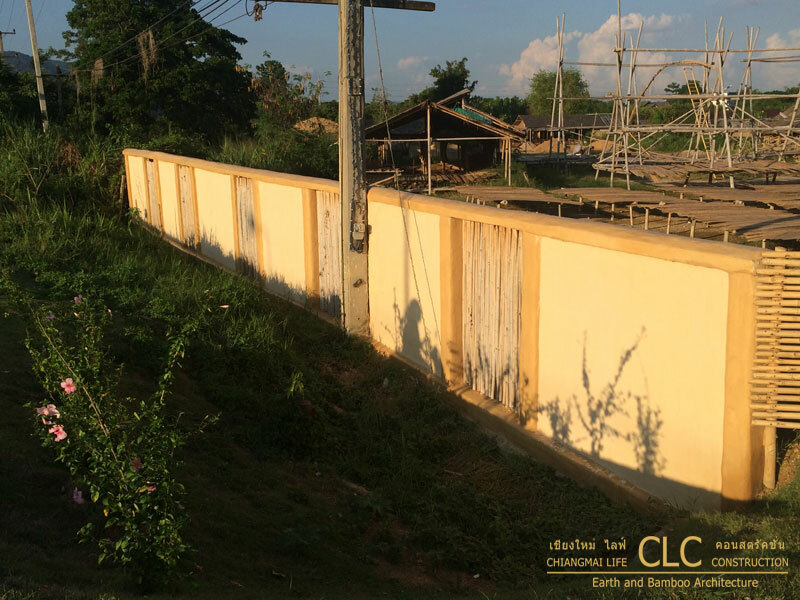 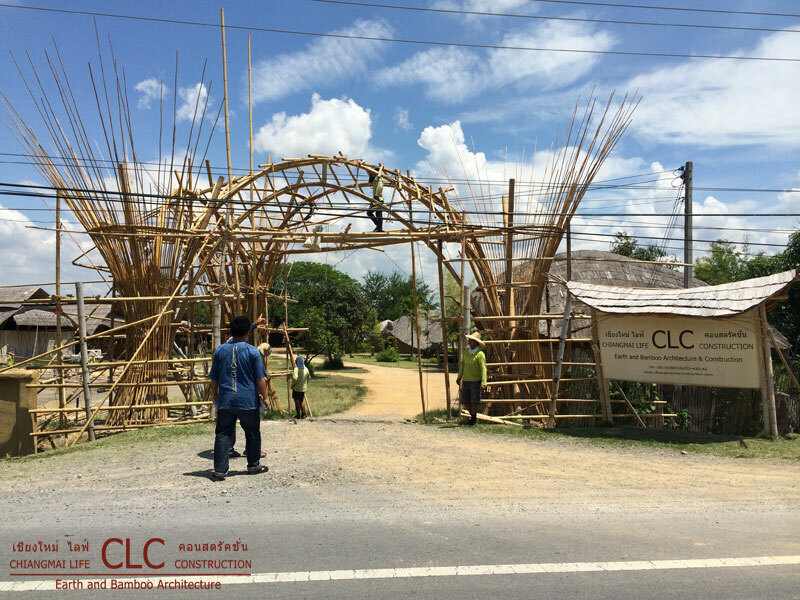 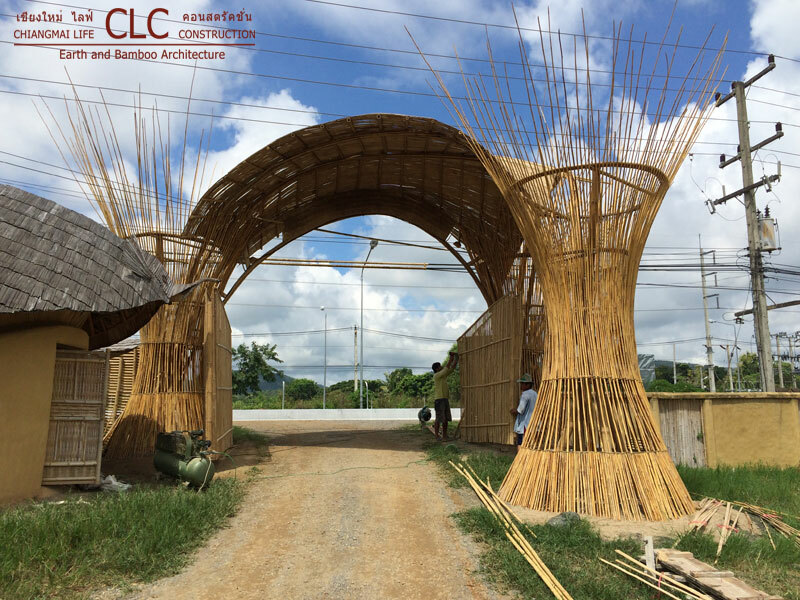 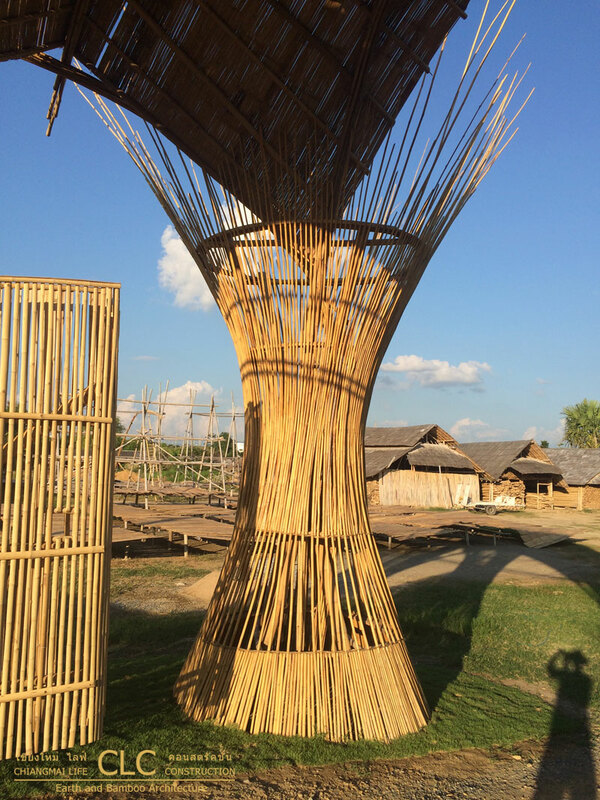 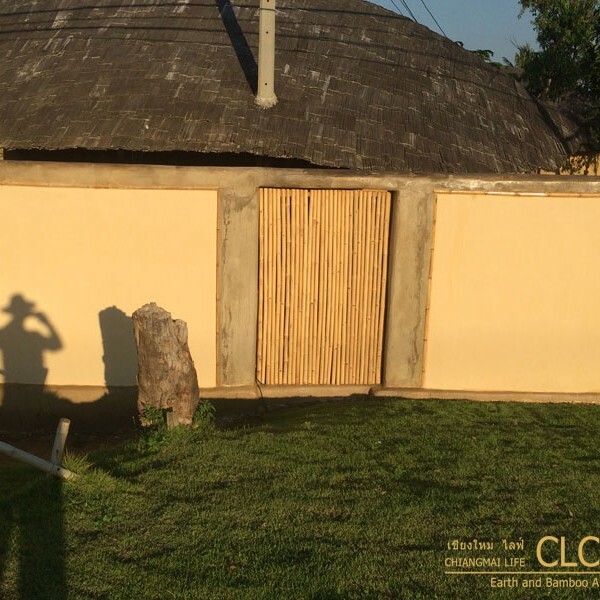 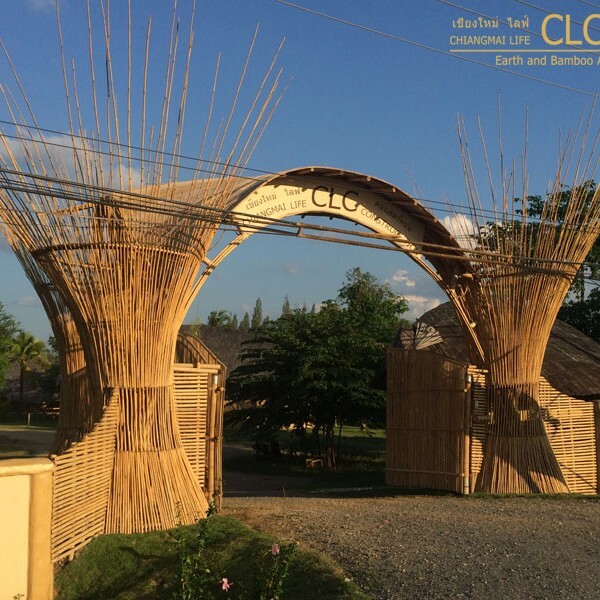 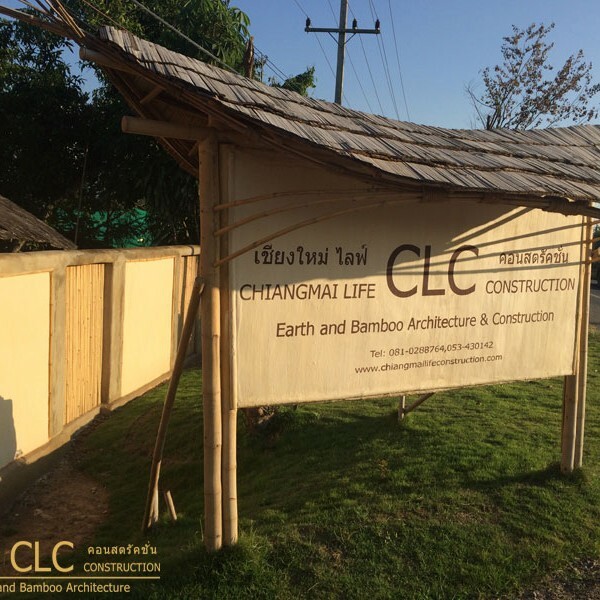 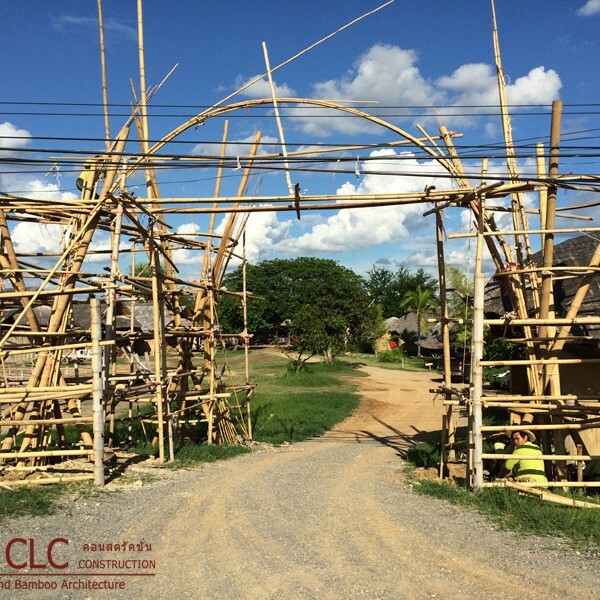 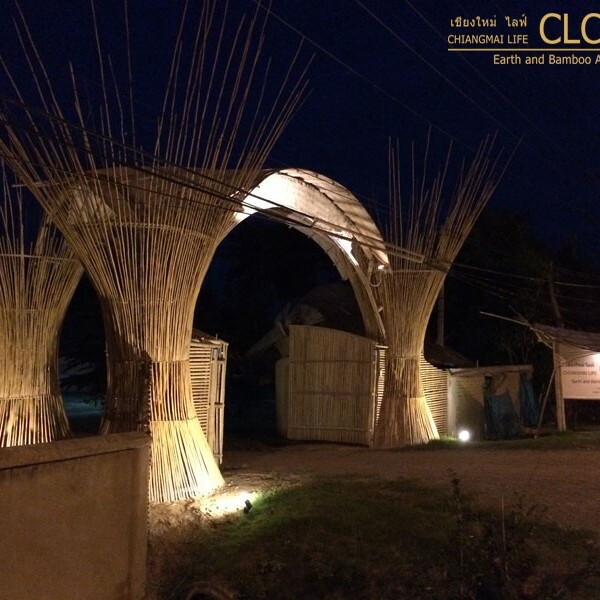 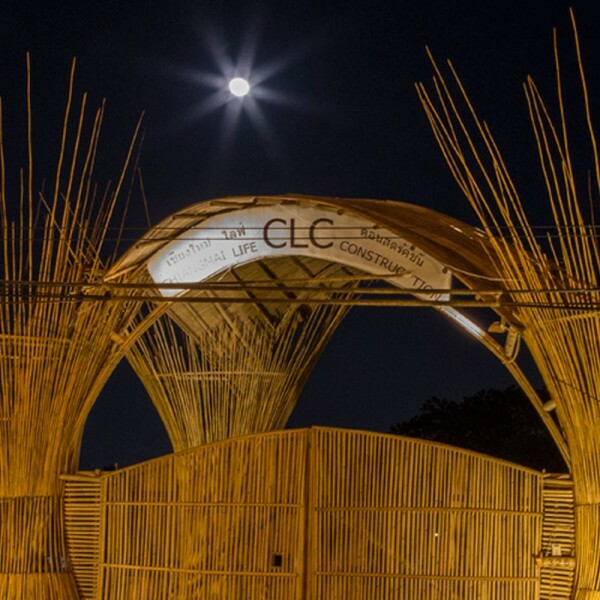 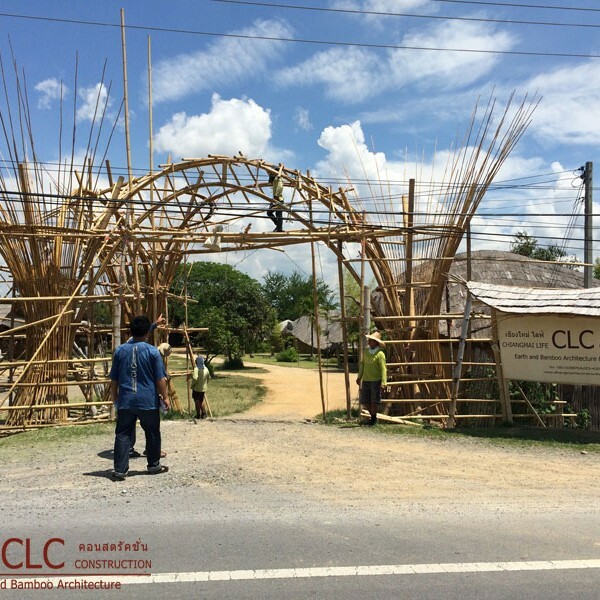 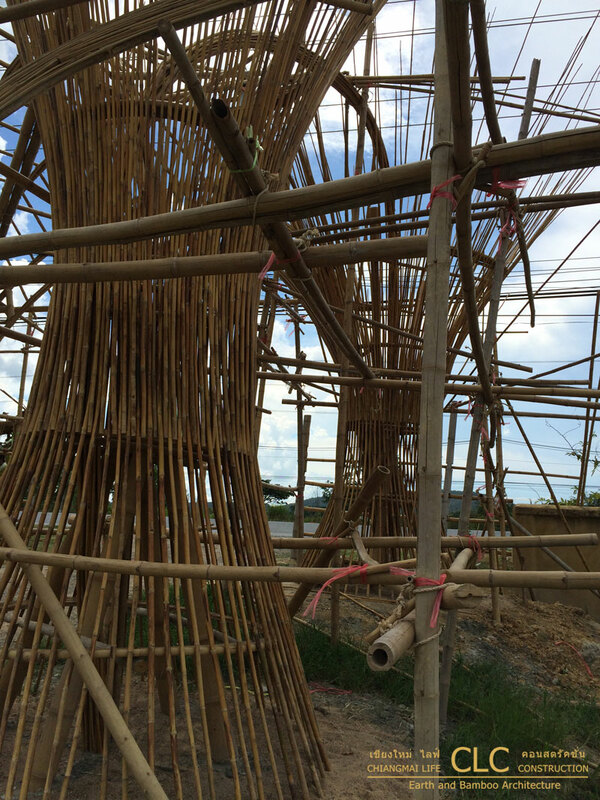 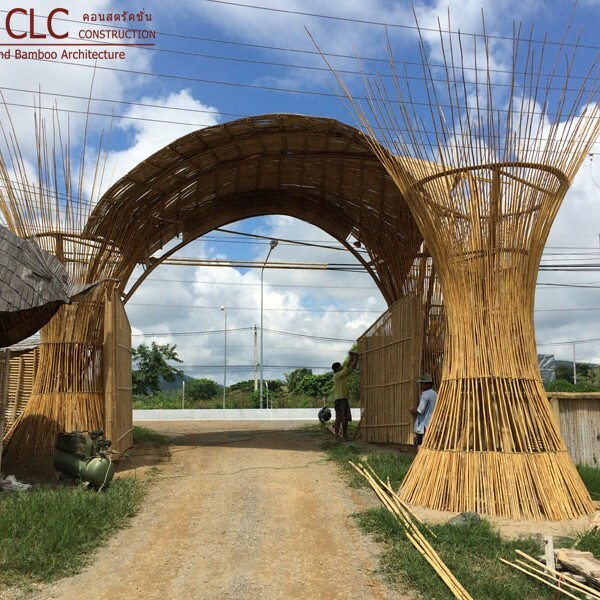 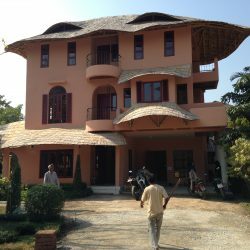 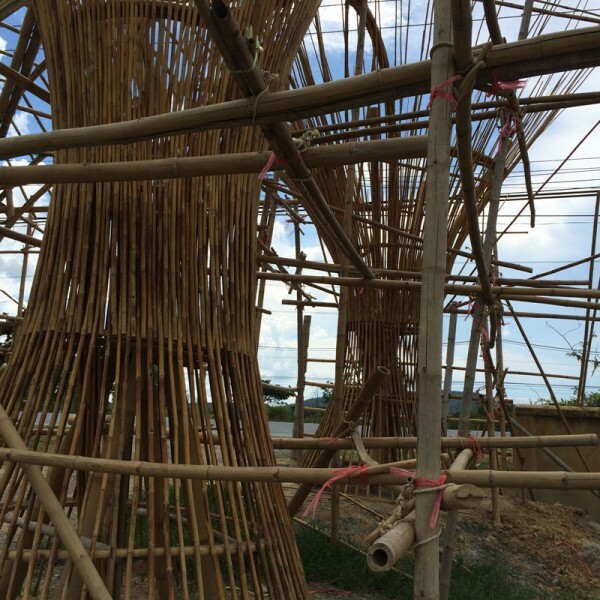 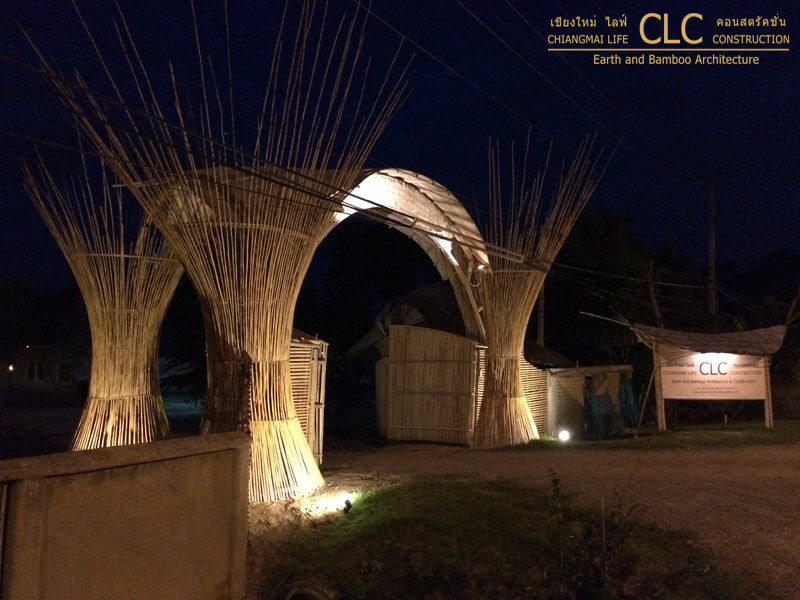 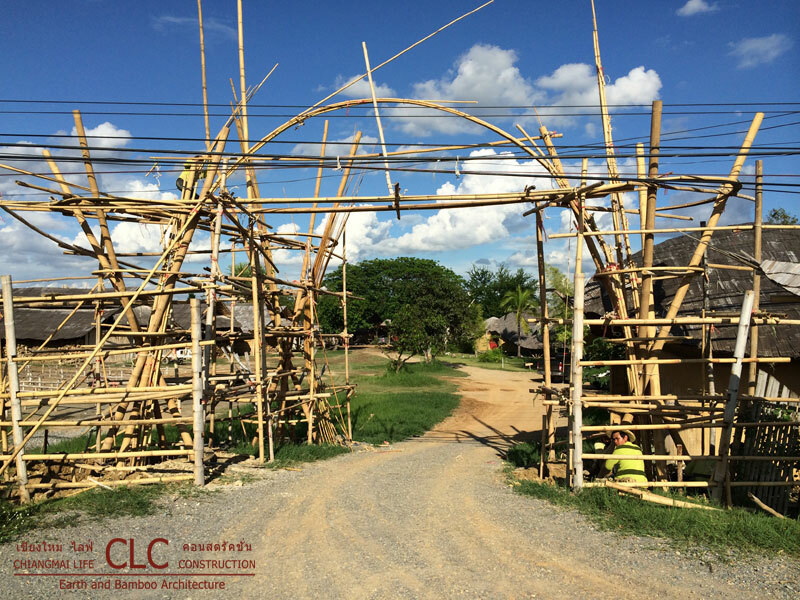 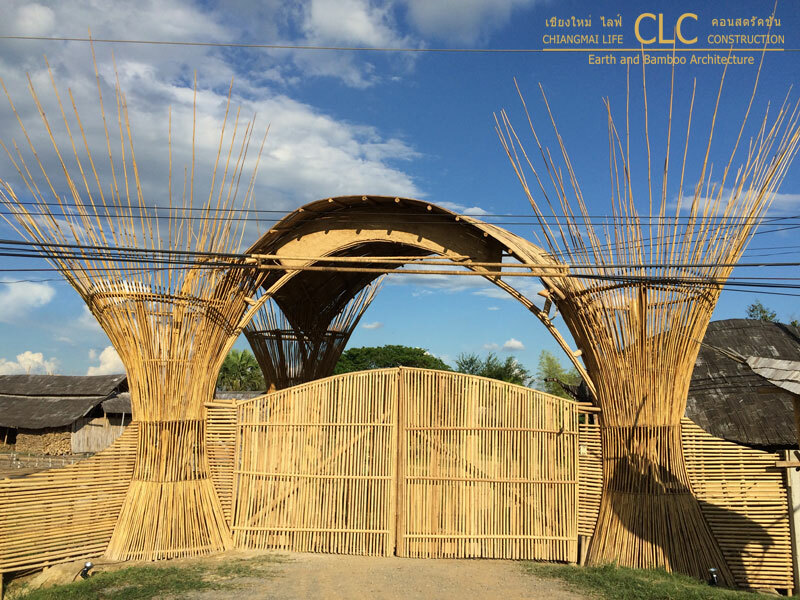 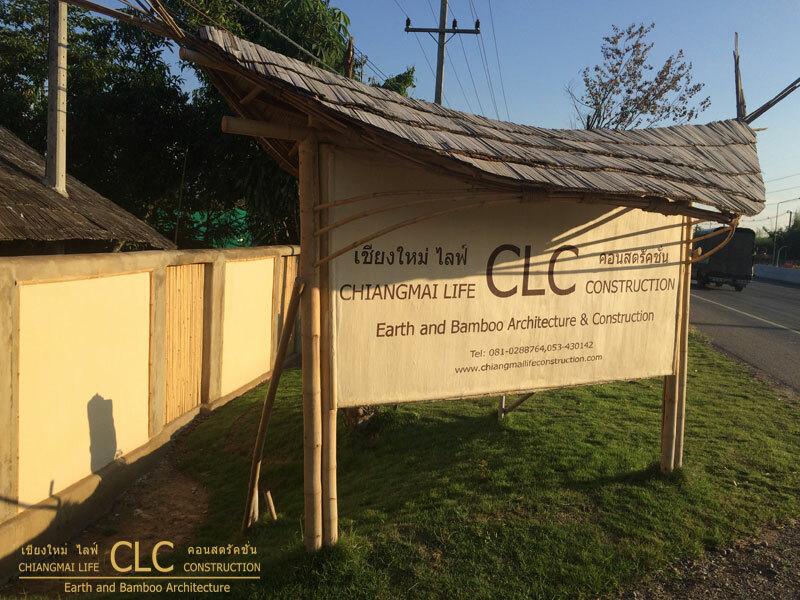 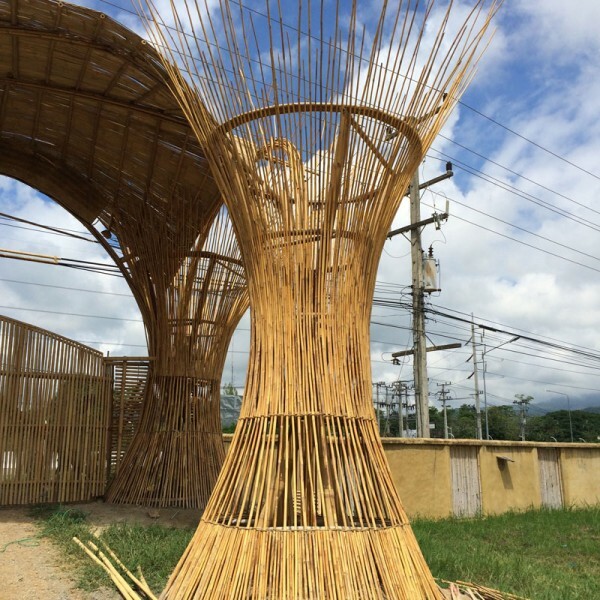 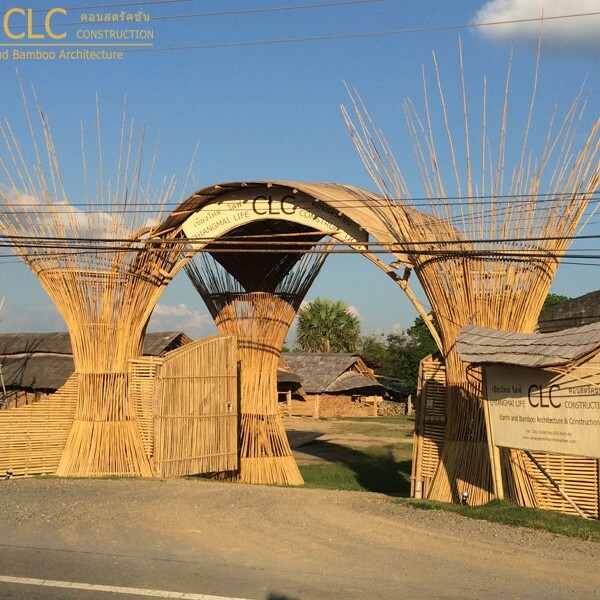 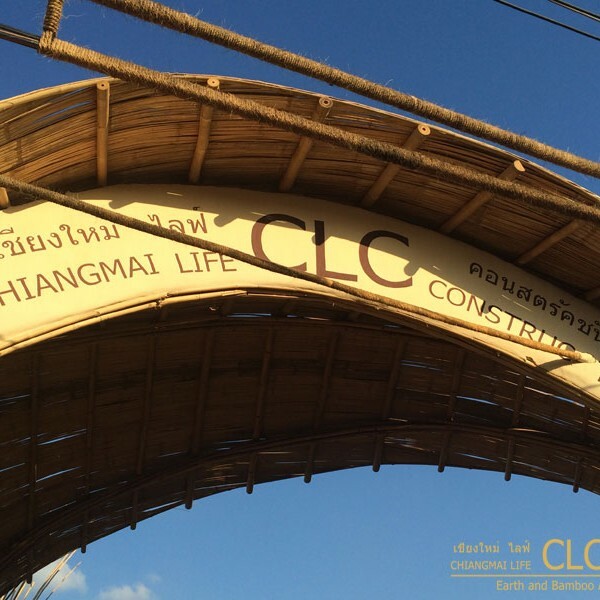 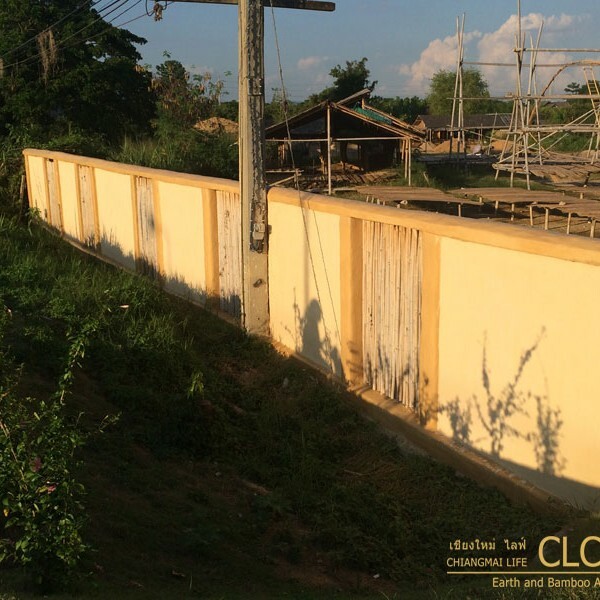 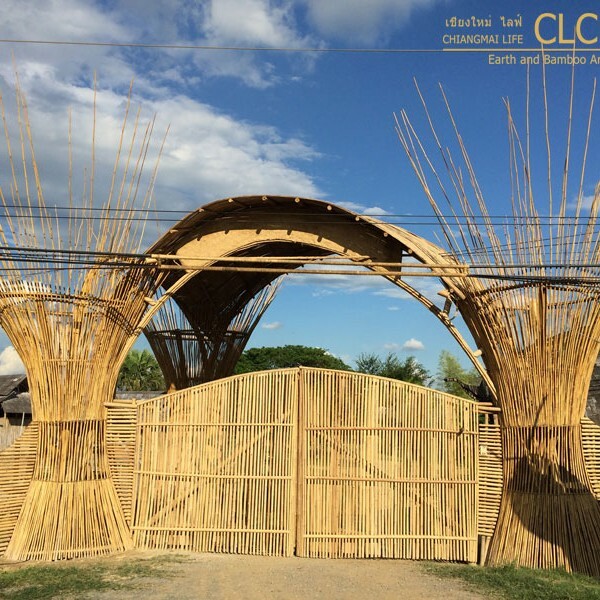 This bamboo architecture by CLC was immediately copied by others showing the success of its design idea.